The strategic sourcing process today is about much more than finding cheaper prices from vendors. Strategic sourcing consultants are also reliable for bringing attention to how technologies can help improve your company as well as help realize why choosing the right vendors to partner with is so important and how much additional value is available. When it comes to all the services and products businesses purchase for their company as well as their employees’ needs it is key to point out that it has become essential to look beyond cost and more at your overall partnership with vendors. There is a very well-known saying that states, “You get what you pay for,” which helps further prove this point and is exactly the way business executives need to consider services for their businesses. If all you look at when evaluating a proposal from a vendor is the price for their services then you may not get the best quality which is why companies need to start shifting focus from looking only at the purchase price to understanding the total cost of owning or consuming a product or service. In order to increase value, it’s important to readjust traditional ideas of what that word actually means in the supply chain. In procurement and sourcing, value has long been measured by unit costs, with successful professionals mastering the art of negotiation techniques to lower prices. However, cheaper items often are lower quality than their more expensive counterparts, which can lead to greater costs and possibly more risk down the line. Additionally, time spent on replacing or supplementing low cost units often translates to loss of productivity. Supply chain has shifted toward a more rounded approach that measures trade-offs and best value arrangements. Value in this sense includes forming collaborative relationships with suppliers, rather than purely transactions, in order to gain access to more innovative technologies and service offerings. Supply chain professionals that can leverage supplier expertise are often able to offer better products to customers and create more lasting value, including enhanced customer loyalty. Identifying the total cost of ownership requires looking at the entire process of procuring and consuming the product or service, something that can only happen with cooperation and input from both the client and the vendor. Establishing a "total cost of ownership" mindset is a goal that the supply management organization needs to embrace and spread throughout the entire enterprise. It will not be easy, however, to convince your company's executive leadership to truly prioritize value over price since most chief executives tend to focus on cost reductions and savings. Supply chain management is a constantly evolving field, and it’s important that professionals regularly reevaluate their process in order to get the most value. As stated above, traditional value structures that focus on cost-saving techniques have been redefined to include a more holistic understanding of value. By understanding how procurement and sourcing professionals can use these approaches to create value within their companies will be crucial for future success. It is important to appreciate that many procurement teams are unable to enumerate product and service "SKU" level P*Q information. As the old saying goes - 'If you cannot measure it, you cannot improve it'. However, it is a dis-service to professional Strategic Sourcing professionals to say that cost savings are generated at the expense of quality. 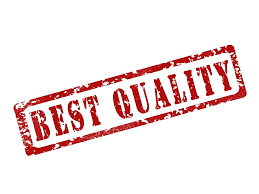 In our experience, it is possible to obtain like- or better-quality products and services for lower prices through a comprehensive Strategic Sourcing effort. Unfortunately, this requires extensive effort and experience, which may be lacking in some organizations. For this reason, these organizations are well served to find experienced professionals who can deliver results, educate the in-house team, and guarantee the value of their work. Hi Serge! Thanks so much for your comment! We pride ourselves in our ability to deliver like- or better-quality products and services for our clients for over 25 years. As our experience has taught us, the benefit of Strategic Sourcing goes beyond well looking at cost as the sole factor guiding a purchasing decision, especially as procurement groups move away from focusing solely on cost reduction in terms of the value they deliver their organizations. The benefit of the Strategic Sourcing process is getting a better view of how a supplier can provide value to your organization in the form of quality, pricing, service levels, and additional offerings- all of which vary depending on your organization's needs, the category, industry, and more. As a best practice procurement professionals should be aware of the quality considerations as they relate to price, recognizing that they don't necessarily have to sacrifice quality for costs with the right market insight and negotiation strategies. The key is to understand your organization's needs and being sure to assess the total value a supplier can bring to your supply chain.